It’s Dec. 19, and conference play is just 10 days away. We’ve learned a lot so far from the non-conference portion of the schedule, with plenty more to learn in the coming weeks. However, I have some questions and comments about what I’ve seen so far from the Big East. Villanova has four losses, is riding a two-game losing streak, and it’s not even January yet. Three teams have three losses. Only three wins separates first from last. And oh yeah, St. John’s is still undefeated at 10-0. The reigning national champions were predicted to be atop the standings at the conclusion of this season. Now, I’m not saying they still won’t. Jay Wright certainly doesn’t have his best team, and there’s still plenty of time to right the ship. But, St. John’s has a loaded roster with good experience, and Marquette is ranked 20th in the country for a reason. AJ Reeves’ injury dealt a tough blow to Providence, a team also predicted to finish at the top, but coach Ed Cooley has his team 8-3 coming off a 73-43 win over Albany. If they can hang tight until Reeves returns, they too could make some noise. 2. Is St. John’s For Real? As mentioned before, the Red Storm sit at 10-0, their best start since the 1982-1983 season. It’s an impressive feat for Coach Mullin, who finally has a roster that is destined to compete for a tournament bid. However, their non-conference schedule has left a lot to be desired. According to the NET rankings that the NCAA is using this year, St. John’s has only played two teams ranked in the Top 100 (Georgia Tech and VCU). They’ve also played three teams ranked lower than 300 (Loyola Maryland, Mt. St. Mary’s, Maryland Eastern Shore). This is a far cry from teams like the Buffalo Bulls, Marquette’s next opponent. Or Kentucky, a team Seton Hall beat on Dec. 8 at Madison Square Garden. But, you have to give credit where credit is due. The Red Storm have NOT played their best and they haven’t lost a game. They’ve battled back from deficits against VCU and Georgia Tech. Sure, it required some heroics from Shamorie Ponds, but these were games that St. John’s loses last year. When the Johnnies are locked in defensively and share the ball, not many teams can beat them. Not many teams can top their talent. I think the jury’s still out on St. John’s, but they’ve shown enough in spurts and in the win column that they should keep it up come conference play. Many, including me, had Seton Hall ranked towards the bottom of the conference. They lost key players like Khadeen Carrington, Desi Rodriguez, and Angel Delgado. Coach Kevin Willard scoffed at the rankings that had Seton Hall as low as eighth out of 10. Well, it looks like he knew what he was talking about. No one in the conference plays defense at their peak as well as the Pirates. Combine that with the leadership and scoring prowess of Myles Powell, and Seton Hall is once again a big threat in what was expected to be a down year. Speaking of Powell, his 23.5 PPG are good enough for best in the Big East. Perhaps no bigger statement was made when the Pirates beat Kentucky 84-83 at Madison Square Garden. At the time, Kentucky was ranked ninth in the nation. Some of their losses have come against tough competition also. Out of the three losses, two of them were to Louisville and Nebraska. There’s no doubt this team continues to get better with each passing week and their stingy defense will travel well in conference play. 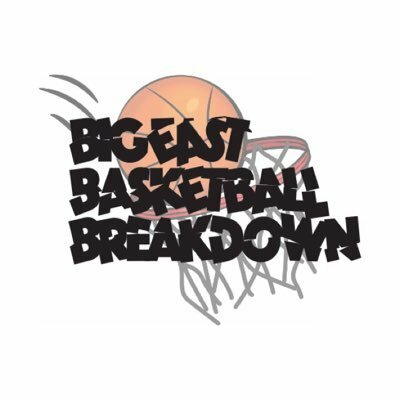 On the “Seeing Red” podcast hosted by Troy Mauriello, I said that Shamorie Ponds is one of the best players in the country. Forget the conference. Ponds has played like a high-end first round talent. He’s averaging 21 PPG, which is pretty standard for a scorer like Ponds. However, it’s everything else that’s made Ponds a complete player. His field goal percentage so far is 53.7% compared to 42% from the field last year, and his three-point percentage is 37.5%, up from 25.3% last season. To go along with his scoring efficiency, Ponds is also averaging 5.8 assists and 4.4 total rebounds per game. NBA scouts noted that Ponds needed to become more of a play-maker, and boy has he delivered. In certain non-conference games, you got the sense that Ponds could take over when he wanted to, but opted to pass. Personally, I can’t wait to see the improved Ponds come conference play. I heard a good point recently that I think rings true. If you have the best player on the floor out of the two teams playing, then you’re likely to win the game. And there aren’t many players in the country better than Ponds. Some great shots from the Red Storm's 89-74 win over Princeton at Madison Square Garden on December 9, 2018 courtesy of Nick Bello.